Wow, just wow. 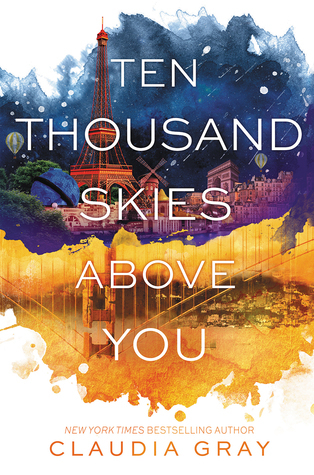 This book is one heck of a ride.TEN THOUSAND SKIES ABOVE YOU digs further into dimensional travel and all the complications and risks. There's so many ethical issues and risks they are taking, and this book really explores further into the implications of all that. I really enjoyed this deeper look and it kept me on the edge of my seat from the start until the very end. Not only are there big risks, but there's also emotional and personal aspects that get explore. The big question is whether we really all the same person a the core across the dimensions, or do our experiences shape us instead, making each version of us truly different? The ramifications of this question are really profound in this book, and it made for an incredible read. I have to admit prior to starting I was just a bit hesitant. I wasn't quite sure what I was going to get as trilogies are tricky things. 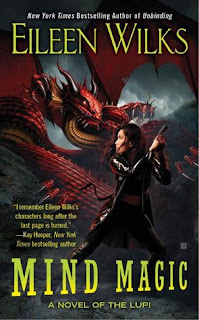 It seems you almost always either have the sophomoric slump in the second book or if the book manages to escape that normal trend then there's a doozy of a cliffhanger. And that latter is the case here. There's not even a hint of a slump here, as TEN THOUSAND SKIES ABOVE YOU is every bit as good as its predecessor, but the cliffhanger ending is insane. Not only are there massive game changing revelations in this book that would have made me desperate to get my hands on the next one, but the very ending events are nearly cruel when it comes to cliffhanger terms. I kept trying to get to the next page as I just couldn't believe it ended there. I'll be counting down the days until the next book releases. TEN THOUSAND SKIES ABOVE YOU isn't just a must read, it's a drop everything you're doing, and run to the nearest bookstore to get your hands on it immediately read. Bravo! Rescuing her friend John Pritkin should have been an in and out kind of deal, but with the near-immortal mage’s soul lost in time, Cassie has to hunt for it through the ages—with Pritkin’s demon dad in tow. He’s the only one who can reverse Pritkin’s curse, but with the guardians of the time-line dead set on stopping anyone from mucking about, Cassie will have to figure out how to get her friend back without ruffling too many feathers—or causing a world-ending paradox or two.. I feel utterly torn about REAP THE WIND. On one hand I was utterly and completely hooked into the story. It was intense and the characters really shined. You could really feel the stakes involved. It's quite a long book, but I read it in one setting into the wee hours of the morning. All good things right? You might be asking what's the problem. I have one word for you... Cliffhanger. Another cliffhanger, after the past several books having killer cliffhangers, I had expected a resolution at least on that matter. But no, the past three books have left a certain character's fate in the balance, and unfortunately this one does as well. I had a strong urge to throw my kindle across the room when I realized this. As much as I love this series, the frustration factor is starting to weigh on me. It's just amazing how in such a long book, so much could happen, but in the end nothing that happened really matters as the main issue is still massively looming. I feel like I've been teased one too many times. Will I read the next book, absolutely, but if there's yet another cliffhanger on this same issue it might just be a towel throwing offense. Getting back to the good. Cassie really shines in REAP THE WIND. She's tested over and over, but this time around her reactions are a little bit more thought out rather than so reactive. Sure she's still in constant jams but less are due to her own scrambled reactions. She's maturing and learning more about her role and becoming more confident, and I cheered her every step of the way. Now if everyone else could just start respecting her... Speaking of respect, the whole Mircea thing is still a funny situation. The romance there leaves me scratching my head more often than not. I hope there's some sort of resolution planned there as well in the near future as again, it's been dragged out for a very long time it seems. 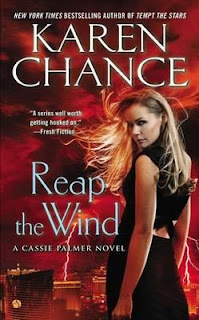 Despite my frustrations due the overall arc of the series and lack of real momentum, Reap the Wind is a very good book in its own right. 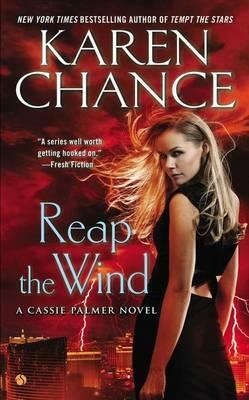 Take out the series issues and it's darn right fantastic, so with that caveat in mind, REAP THE WIND is an enjoyable and engrossing read. I really enjoy Lila's character. She's grown and accomplished so much already and we're only the 2nd book in. It makes me even more eager to see what she can become in future books. She's no longer the skittish thief we met in the first book, but a loyal and dare I say trusting member of the family. Previously I felt like she had one foot out the door at all times but in DARK HEART OF MAGIC she seems much more settled. And considering everything that happens in this book and what's brewing next, this settled-ness happened just in time. 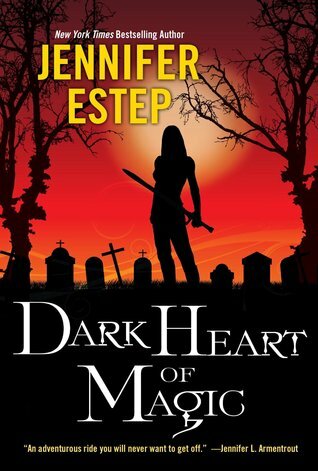 I really enjoy the mix of urban fantasy and mobster families in this series. And the rivalry and machinations between the families seemed to only get thicker if that's possible. It's one of those situations where you just immerse yourself and watch the sparks fly. And boy did they fly in this book! I figured out the mystery pretty early on, but that didn't detract from my enjoyment at all. It was fun to see each new revelation make me think more and more I was correct in my guess at the culprit. And then the final showdown, whew! What a doozy. If you're looking for a fun and action packed read with great characters, an interesting world, and plenty of machinations, look no further than DARK HEART OF MAGIC. It's guaranteed to please. 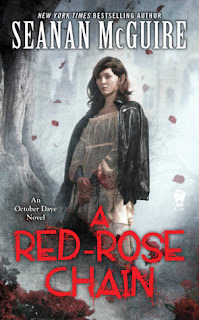 A Red-Rose Chain by Seanan McGuire is the newest book in her October Daye series. 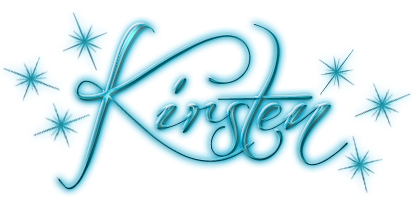 Its protagonist, Toby has been through a lot in the course of eight books, and finally, in the ninth installment, she gets what feels like a chance to pause and catch her breath. She is no longer a loner who refuses to make connections and have friends, now she has lover, a squire to train, and maybe time to take a break. Of course that might make for an uneventful book, and when Queen Windemere’s seneschal is elf-shot and falls into an enchanted sleep thanks to agents of the Kingdom of Silences, Toby is thrust into the role of diploma, the Ambassador to Silences. She travels to Portland, Oregon in order to persuade King Rhys of Silences not to start a war with the Mists. As with anything political, this is not as simply as it sounds, and Toby makes discoveries in Silences that are downright unpleasant. King Rhys in Silences gained his throne thanks to the machinations of the Queen in the mists, and he is determined to restore his queen to her seat of power for a number of reasons, including his fear of Toby. In tracking Toby’s journey in the first book as a changeling regarded with disgust by most of the Fae to the Hero in the Mist, she has been involved in situations both political and magical, and these experiences stand her in good stead in this book. In some ways it feels like a place for Toby to ‘level up’ in what she can handle, and as the King-Breaker after having deposing the false Queen in the Mists and the death of Blind Michael, Toby cannot be dismissed by anyone who wants to hold onto their power, or their head. 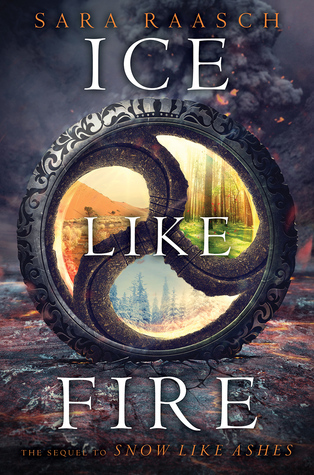 With her extensive retinue in tow, Toby must figure out what is actually going on in the Kingdom of Silences, foil plots, and maintain the delicate balance between fae monarchs, all while balancing diplomacy and a search for the truth. 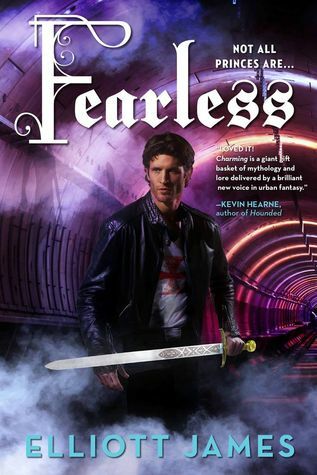 Fearless by Elliott James is the third book in the Pax Arcana series. The protagonist, John Charming is a werewolf, former Knight, and is learning to adjust both to working with a team, and courting Sig, the valkyrie he met in the first book of the series. The motley group is asked for help from Ted Cahill, now a dhampir, and the sheriff of a small town. It seems that someone is after Kevin Kichida, a supposedly ordinary nineteen year-old college student. Whoever has it in for Kevin is sending all the supernatural muscle they can find after him, and John and his companions have their hands full keeping him safe and finding the bad guy. As it happens, John is both a Charming, and able to recognize patterns, and the more they look into things, the more it seems there’s a tangle of family secrets, and the sort of betrayals that make for lingering resentments - even from beyond the grave. 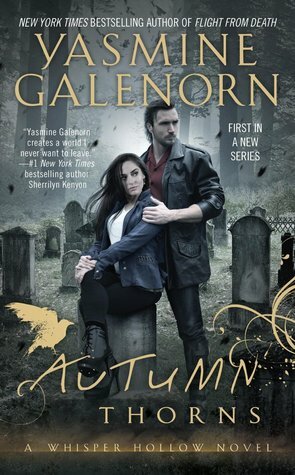 The series has a lot of familiar supernatural creatures, however this book introduces even more to audiences most familiar with werewolves and vampires. Those not familiar with Japanese culture, its mythology and traditions will likely find this a refreshing change from the sometimes wearying and endless parade of European beasts and spirits. Meanwhile, another plot thread from previous books, that of the ongoing integration of a faction of werewolves with Knights crops up again, and is both important, and promises to figure prominently in another book. This book marks the point at which John steps into danger, perhaps rushes in foolishly at times, for the sake of someone who is not part of his immediate group of friends. It should be noted that while John does propose plans that are often risky, he has good reasoning, experience as a tacticien, albeit one learning to work in a group, and is learning to listen to others, making him a refreshing urban fantasy hero. As the supernatural world is further illuminated with each book, it becomes clear that villains use the Pax Arcana to their own advantage, and in this case, may be stretching it to the point of snapping, which puts all the supernatural community at risk, something that is sure to come up again. Each of the main characters is wrestling with issues of their own while they’re working to organize what is, in essence, a caper, involving an underground supernatural fight club, and the resolution of the story resolves a few problems, raises more, and leaves the field wide open for the next snag to hamper a simple happily ever after.